No job is too big or too small when it comes to high quality Large Format Digital Printing. From banners to murals, JDI provides print graphics on a variety of substrates for textures to update any space. We have fulltime 3M Endorsed installers, and provide Di-Noc, decorative architectural vinyl film. We offer over 1,000 patterns in a variety of textures and colors to update, doors, elevator cabs, Nurses stations, walls, furniture and more. 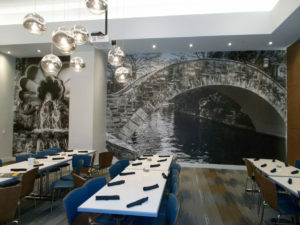 We design, print and install custom digital printed wall coverings for retail and commercial properties. Materials available in a variety of textures. 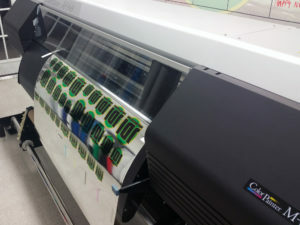 JDI is the only 3M Certified Installation and print company in San Antonio, and South Texas. 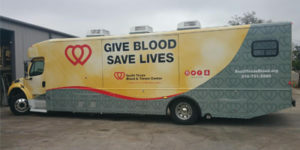 With over 5,000 vehicle wraps done and counting, you can rest assure you’re in good hands. We'll Help Your Company Stand Out in San Antonio and the Entire State of Texas. Our staff of talented graphic designers will create an idea that will be ideal for displaying your logo or business ideas. From textures to life-like imagery, we’re ready to take your business to another level. Contact JDI for custom vinyl graphics in San Antonio and all of Texas. From coverings for your cars to wraps around elevator doors, we can provide the custom vinyl graphics you need to display your company’s brand. We’ll make your creative visions a reality thanks to talented designers and 3M-certified installers. Call 210-888-1523 today to learn how we can help your company build its brand. We thrive in a fast-paced environment where our clients’ needs are constantly changing. That’s why we’re ready to design, install or replace the graphics you need in an efficient manner. We also understand the importance of advertising, so we work hard to design quality products that you’ll be proud to display. Set your company apart from the rest by contacting JDI for custom vinyl graphics.